It's been a while since I've done a Feature and Follow Friday, so it's great to be back! Be sure to let me know how you would answer this question and leave me links to your blogs and/or social media so I can follow you back! Happy Friday! I love your choice. It's my close second to Harry Potter and The Deathly Hallows. Oh, and I don't think any girl would mind having Jace for the rest of her life ;) New follower! So true...so very true....*starts daydreaming about Godfrey Gao* ;D ! Love, love, love your choice. Now I just need to get to the movies and see Jace on the big screen. Nice! Glad I am not the only one to stall! Hey Caitlin, Just wanted to let you know that the sequel to Mystery Falls is going through it's final stages of editing and will be published soon. Great pick! Loved that book, too. The movie is released in Germany this week, can't wait to see it! I REALLY loved the movie-- hope you like it as much as I did! Still haven't read this but I really loved the movie, so it's on my TBR list! I'm on City of Lost Souls right now and I definitely am lovin' Jace too!! Great pick! 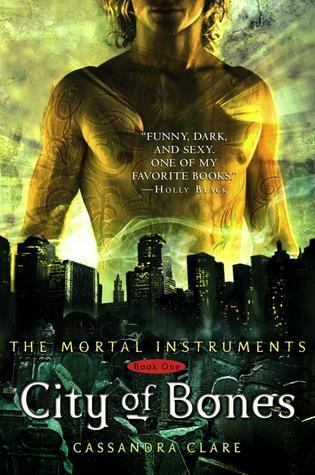 I love The City of Bones! It is one of my all time favorite series! Like you, Twilight is what got me back into the world of reading (and writing) so I had to choose that one... Here's my FF. Thank-you for dropping by Daisy :D ! Just finished visiting your blog! I haven't read City of Bones. Thanks for stopping by my FF, and following. Following you back via GFC! 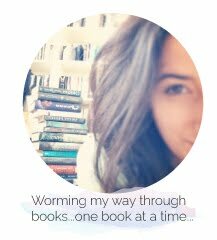 Tina @ Pages of Comfort - new follower via bloglovin! Yes, i love Jace so much. I would even chose a later more Jace-heavy book if I could (crossing my fingers that City of Heavenly Fire is ALL JACE! Ohh that would be a good choice-- more Jace is always a good thing :D Just finished following you back ! Love your choice; I can't wait to see the movie this weekend! Thanks for stopping by my FF. Following via GFC. Ooooh... that is a good one. One of my favorites for this year. Haven't seen the movie yet because I am so afraid it will ruin the book. New follower in G+. I really need to read the rest of this series already!! I've read the first one and that's it. Maybe I should watch the movie first though so I'm not as disappointed in it? Another one on my TBR that after seeing many posts about it today I know I have to move up on my list!